Say goodbye to skin that looks older than you feel. 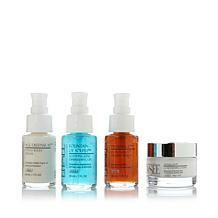 This collection of specialty serums will help "destress" your skin and restore a more youthful-looking complexion. Pycnogenol is a very fine, pink to reddish brown powder and the color of this serum may vary slightly due to color variations of the natural ingredients. 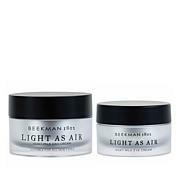 Morning and/or evening: Apply a light layer to face and neck prior to other serums and moisturizers. 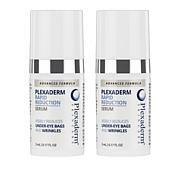 FIRMANCE PYCNOGENOL® FIRMING SERUM: Water, Glycerin, Propylene Glycol, Aloe Barbadensis Gel, Carbomer, Allantoin, Butylene Glycol, Centella Asiatica Extract, Echinacea Purpurea Extract, Panthenol, Maritime Pine Extract (Pycnogenol®), Hyaluronic Acid, Saccharomyces Lysate Extract, Phospholipids, Hydrolyzed Wheat Gluten, Ceratonia Siliqua Gum, Methylparaben, Propylparaben, Yeast Beta-Glucan (Nayad), Triethanolamine. Pycnogenol® is a registered trademark of Horphag Research Ltd. Use of this product is protected by one or more of U.S. Patents #4,698,360 / #5,720,956 / #6,372,266 and other international patents. FONTAINE DE JEUNESSE (FOUNTAIN OF YOUTH) SOOTHING LINE DIMINISHING GEL: Water, Acetyl Hexapeptide-3, Palmitoyl-Pentapeptide 3, Polysorbate -20, Carbomer, Butylene Glycol, Glycerin, Pimpinella Anisum (Anise) Fruit Extract, Laureth-3, Hydroxethylcellulose, Acetyl Dipeptide-1 Cetyl Ester, Amido Pentapeptide-4, Hyaluronic Acid, Propylene Glycol, Arnica Montana Flower Extract, Camellia Sinensis Leaf Extract, Panthenol, Saccharide Isomerate, Calendula Officinalis Flower Extract, Hydrolyzed Wheat Gluten, Ceratonia Siliqua Gum, Quaternium-15, Yeast Beta-Glucan, Triethanolamine, Blue No. 1. “JEUNESSE ETERNELLE” ETERNAL YOUTH EYE SERUM: Water, Glycerin, Hesperidin Methyl Chalcone, Steareth- 20, Dipeptide-2, Palmitoyl Tetrapeptide-3, Oligopeptide-1, Hydrolyzed Vegetal Protein, Propylene Glycol, 1- Methylhydantoine-2-imide, Creatine, Acetyl Hexapeptide-3, Butylene Glycol, Carbomer, Polysorbate-20, PalmitoylPentapeptide 3, Sodium Hyaluronate, Methylparaben, Saccharomyces Lysate Extract, Phytosphingosine, Propylparaben, Yeast Beta-Glucan. LIPOSOMAL SERUM: Water, Alcohol, Phospholipids, Phenyl Trimethicone, Cyclopentasiloxane, Dimethiconol, Polyphosphorylcholine Glycol Acrylate, Phenoxyethanol, Methylparaben, Ethylparaben, Butylparaben, Propylparaben, Isobutylparaben, Tocopherol, Disodium EDTA, Yeast Beta-Glucan. When I ran out, I could tell the appearance of my skin went downhill. 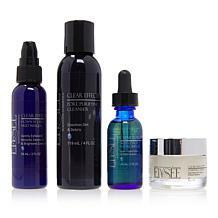 I use the blue serum, brown tightener and Collaboost. 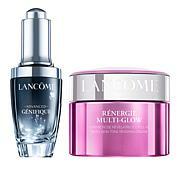 I love using these products. I love the results! 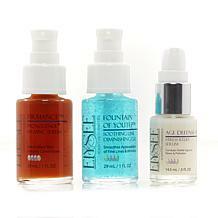 These serums help my skin to look and feel it's best. 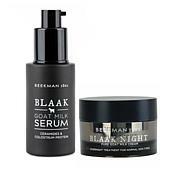 The eye serum is so cool and refreshing to apply. I don't have bags. My under eye area did the opposite as I aged, it is sunken in like I lost all my collagen and fat there. Somehow this product is helping this area to appear more plumped up. Also, when Linda shows the charts on how much better the brown product (can't remember how to spell it) is than vitamin C, I am confident that I am using something more potent for my skin. The best there is and Elysee works! I am going to be a 54 year old male in December. I started seeing lines that well I was not happy with. I have watched Linda Marshall for years and have always wondered if I should try Elyesee. 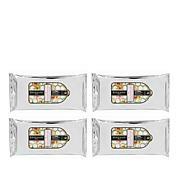 I have used other products from differen't companies and the results were ok. 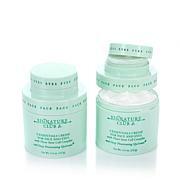 So about 3 weeks ago after watching Linda on HSN and her scientific detail, I decided to order. I am shocked. Elysee, is a product that works. I am amazed. Next week, I can't wait to order more of Elysee. My face feels much more firm and I can literally see lines disappearing only after 3 weeks. Linda Marshall, you are a rock star and I am now hooked on Elysee! Will remain a fan for life! I am only 30 so I do not have any lines or wrinkles but I do want to prevent them. 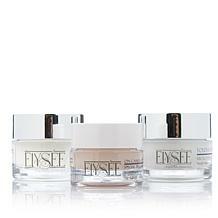 I am so happy I found Elysee because the brand is truly excellent. The ingredients in all four products are the best. I love the FOY and Pycnogenol since they absorb into my skin almost instantly. 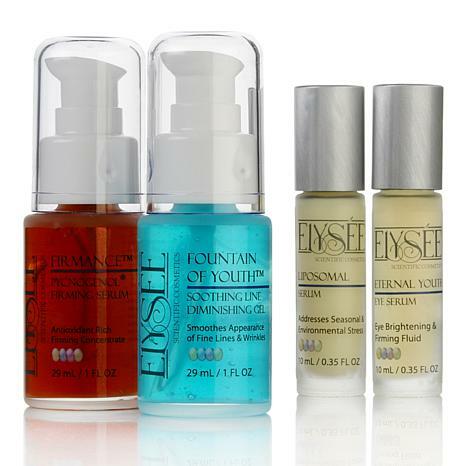 The Eternal Youth Eye serum is so easy to apply and doesn't bother my sensitive eyes. The Liposomal serum is lightweight yet slightly moisturizing. Like I said, I don't have wrinkles but I notice that the overall tone of my skin is better. 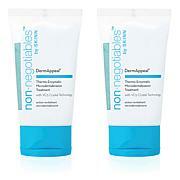 It is smooth and soft and it is so nice to know that I can take of my skin and not break the bank. LOVE Elysee!